Interior of Mir-1 submersible. 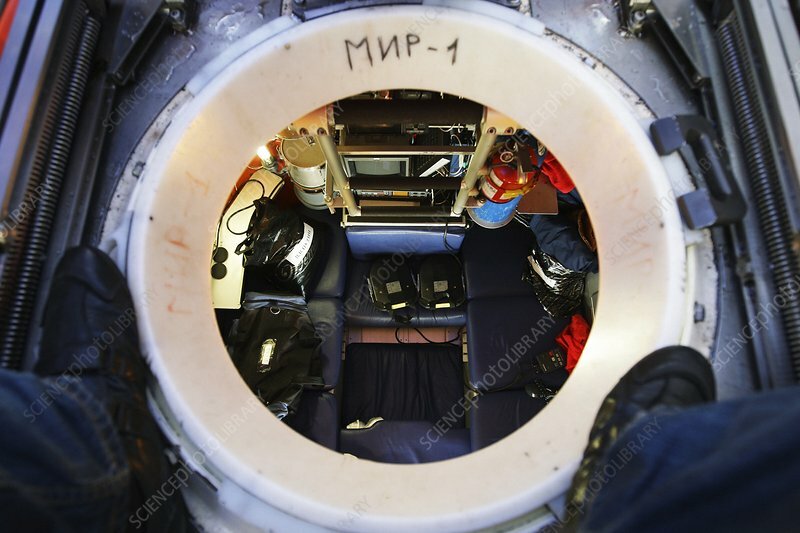 View looking down into the cabin of the Mir-1 submersible. Mir-1 is one of a pair of manned deep submergence vehicles designed in Russia and built in Finland in 1987. Both are capable of descending to 6000 metres with a crew of three. They were used to film the wreck of the RMS Titanic in 1997 and the German battleship Bismarck in 2002. In 2008 the Mir submersibles were used to explore Lake Baikal, the world's largest reservoir of fresh water and up to 1642 metres deep. Photographed in 2009, in the Irkutsk region of Russia.